reimbursement is still predominantly fee-for-service but includes value-based elements. This dual system is widely affecting providers by pushing more of the payment and cost risk onto them (versus insurers). 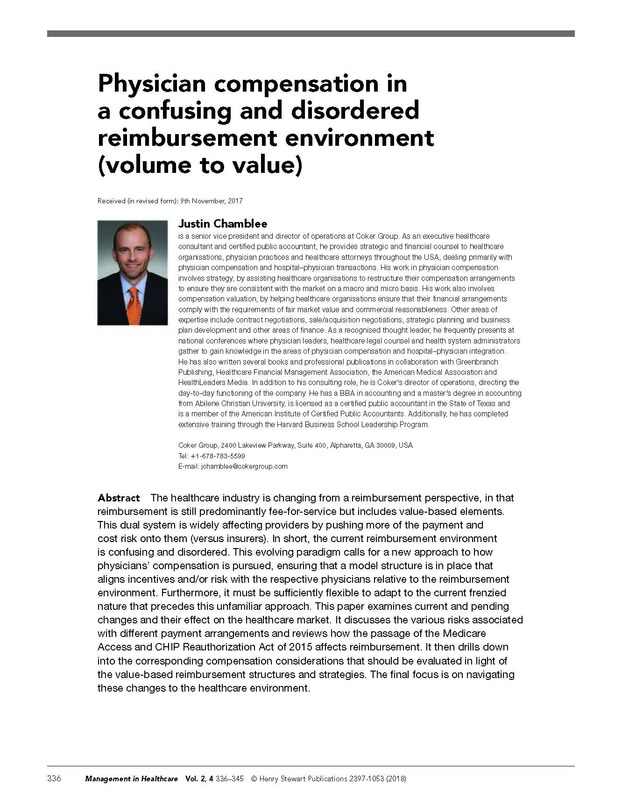 In short, the current reimbursement environment is confusing and disordered.